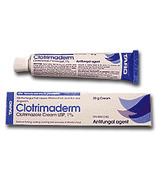 Taro Pharmaceutical Industries Ltd. was founded in 1950 by a group of Israeli pharmacists and American physicians, and is the makers of Clotrimaderm.Â Â Clotrimaderm is an over-the-counter treatment of vulvovaginal candidiasis. Taro Pharmaceutical Industries Ltd. was founded in 1950 by a group of Israeli pharmacists and American physicians, and is the makers of Clotrimaderm. 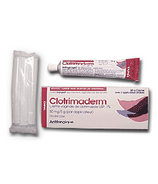 Clotrimaderm is an over-the-counter treatment of vulvovaginal candidiasis.